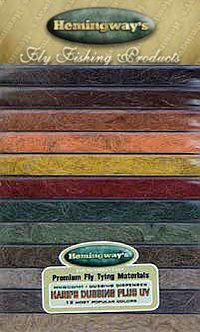 Hemingway's Travel Dubbing Boxes hav3 been designed to pack in all the dubbing you should need for a trip aand more. Each selecion pack has a choice of 12 popular colours specific for the type of fly tying they have been produced for, whether it be high floating dries or fast descent nymphs, attractors or natural imitiations. With up to a dozen different tying material packs, you can be sure of always having the correct dubbing with you. 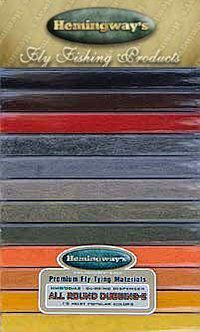 Hemingway's All Round Dubbing is one of their most popular dubbings and really lives up to its name. A.R.D. is a synthetic nylon which makes it extremely light weight, water resistant, and very easy to use for any application especially dry, or floating flies. It also has a close resemblance to natural fur and tends to lend itself well to almost any pattern you can imagine. A.R.D is so versatile you can be sure you will find the right colour or shade to match that special go to pattern in your fly box! A blend of Hare's ear, guard hairs, and a small touch of fine sparkling fibres, giving your flies very spiky and translucent appearance. Excellent fur for nymphs, emergers, wets, and streamers. 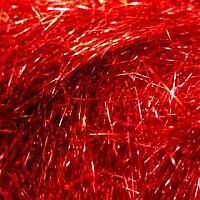 Frosty Dubbing is an extremely awesome blend of very soft, very long, very translucent, totally synthetic fibers. This dubbing was especially designed to have just the right amount of natural sparkle and reflectiveness without being overly flashy or having to much bling. The tier will find this dubbing very easy to work with, blend, and even use in ways that would be considered unconventional for most other dubbing. F.D. is highly effective for just about any and every application. Its uses range from tiny nymphs, and streamers to the largest of Pike, Musky, and Salt Water patterns. This is a must have for anyone that enjoys flexibility in their materials! Excellent dubbing with nice sparkle effect will make your pattern more attractive. Fine synthetic blended with sparkle, super fine diameter UV fibres. 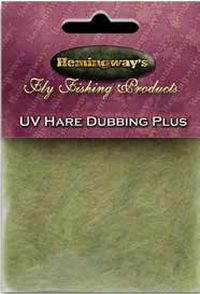 Hemingway's Hares Plus Dubbing is an extremely well designed blend of the finest Hares mask, spiky guard hairs, and soft underfur with just the perfect touch of a fine secret sparkle fibers to add a realistic translucency and just the right amount of shimmer to easily and effectively match all your subsurface patterns like nymphs, emergers, and wets. 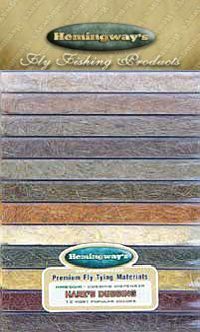 Hemingway's Beaver Dubbing Plus is recognized by all tiers as one of the finest natural furs for tying dry or floating flies. Our special blend of the finest Beaver underfur and just the smallest hint of superfine Trilobal fibers has been sought after by the most selective tiers from all over the world to make their dry fly patterns extremely buoyant, water resistant, and to add that special unique touch to their most delicate patterns! 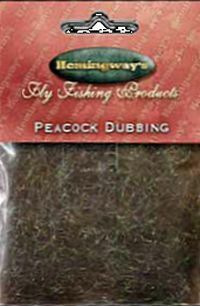 Hemingway's Peacock Dubbing is recognized by all tiers as one of the finest natural furs for tying dry or floating flies. Our special blend of the finest Beaver underfur and just the smallest hint of superfine Trilobal fibers has been sought after by the most selective tiers from all over the world to make their dry fly patterns extremely buoyant, water resistant, and to add that special unique touch to their most delicate patterns! Hare's Fur Dubbing doesnt get any better or more pure than Hemingway's premium H.D. 100% pre-hand, and hand blended dub. This basically means its all done by hand and its blended to pure perfection! One of the most popular and widely used dubbings on the market, and for good reason. It can be tied to represent almost anything that swims, crawls, floats, or flies. Hemingway's mixture is a special one consisting of only the best quality rabbit available in the world, and only the best most tedious blending method know to man. They also use a special mixture of guard hairs, long hairs, and underfur which renders only the best, easy to use, most superior product in the industry ! 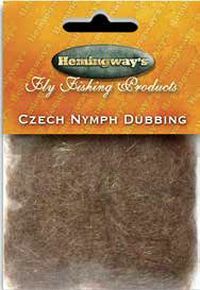 This is a speciality Hand Made Blend, of natural fur and synthetic fibers especially designed for Czech, and Euro style nymphs but its uses go well beyond its name. 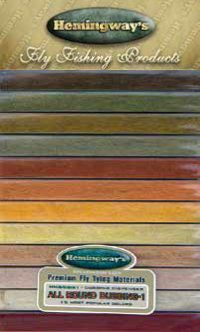 Hemingway's C.N.D. 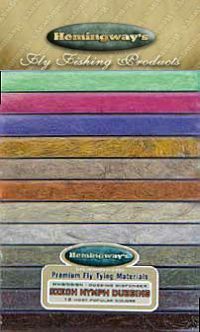 is a one of a kind product consisting of superfine trilobal and pearlescent fibers mixed with natural camel and rabbit hair. This is what we like to call a pro-blend, the reason its called a pro-blend is simply because these types of complex hand blended dubs. were only available to professional fisherman that had access to speciality blends or were willing to mix it themselves. Hemingways saw the great benefits and extreme fish catching ability of this wonderful product and decided to unlock this secret and offer it to fisherman all over the world ! Ice Dubbing is some of the most affective highly sought after dubbing on todays market. Whatever you are trying to imitate, it will give you that natural effect. A hatching insect, or the shine of the scales on a baitfish. 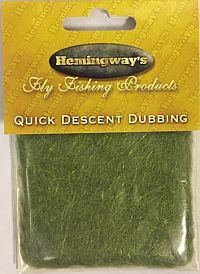 This dubbing will offer your flies that extra edge. The uses of this product are truly endless. Built of a special blend, this mylar based material was specially designed with a fine fiber base for extreme ease of use, and an overall realism. This one will definitely find its way to the top of your tying kit! 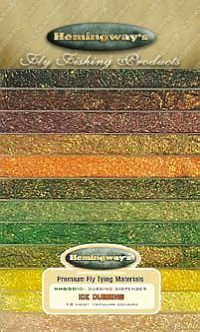 Hemingway's UV Ice Dubbing offers all the same great features as our ice dubbing like, ease of use, fishability, and catch-ability, but kicks things up a notch to a whole new level. 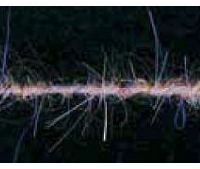 We also add our amazing UV fibers to the mix. This new age dubbing is a must have For anyone that ties twenty-first century patterns. Its also right at home putting a new look, feel, and spin on any of the classics. 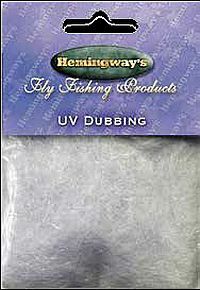 Hemingways UV Ice is a must have, and a definite home run! This is a speciality Hand Made Blend, of natural fur and synthetic fibers especially designed for Czech, and Euro style nymphs but its uses go well beyond its name. C.N.D. is a one of a kind product consisting of superfine trilobal and pearlescent fibers mixed with natural camel and rabbit hair. This is what we like to call a pro-blend, the reason its called a pro-blend is simply because these types of complex hand blended dubs. were only available to professional fisherman that had access to speciality blends or were willing to mix it themselves. Hemingways saw the great benefits and extreme fish catching ability of this wonderful product and decided to unlock this secret and offer it to fisherman all over the world ! 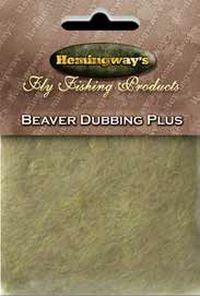 Beaver Dubbing Plus is recognized by all tiers as one of the finest natural furs for tying dry or floating flies. Our special blend of the finest Beaver underfur and just the smallest hint of superfine Trilobal fibers has been sought after by the most selective tiers from all over the world to make their dry fly patterns extremely buoyant, water resistant, and to add that special unique touch to their most delicate patterns! Excellent, hi-floating mixture with cut, dyed and curled winter deer hair. For tying nymph thoraxes. Great for dry caddis patterns. Excellent dubbing with nice sparkle effect will make your pattern more attractive.Fine synthetic blended with sparkle, super fine diameter UV fibres. 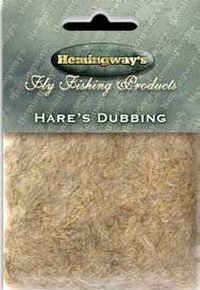 Hemingway's Hare's Fur Dubbing Hare You Go. Doesnt get any better or more pure than our premium H.D. 100% pre-hand, and hand blended dub. Which basically means its all done by hand and its blended to pure perfection! One of the most popular and widely used dubbings on the market, and for good reason. It can be tied to represent almost anything that swims, crawls, floats, or flies. Hemingway's mixture is a special one consisting of only the best quality rabbit available in the world, and only the best most tedious blending method know to man. They also use a special mixture of guard hairs, long hairs, and underfur which renders only the best, easy to use, most superior product in the industry ! 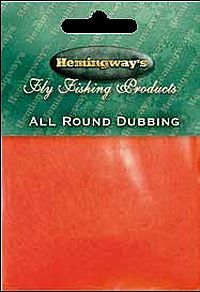 All Round Dubbing is one of Hemingway's most popular dubbings and really lives up to its name. A.R.D. is a synthetic nylon which makes it extremely light weight, water resistant, and very easy to use for any application especially dry, or floating flies. It also has a close resemblance to natural fur and tends to lend itself well to almost any pattern you can imagine. A.R.D is so versatile you can be sure you will find the right colour or shade to match that special go to pattern in your fly box! A mixture with aluminium metal dubbing that sinks like lead, it'll quickly become a favourite because it dubs so easily. A blend of Hare's ear, guard hairs, and a small touch of fine sparkling fibres, giving your flies very spiky and translucent appearance. Excellent fur for nymphs, emergers, wets, and streamers. 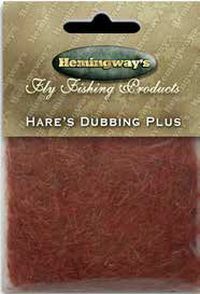 Hares Plus Dubbing is an extremely well designed blend of the finest Hares mask, spiky guard hairs, and soft underfur with just the perfect touch of a fine secret sparkle fibers to add a realistic translucency and just the right amount of shimmer to easily and effectively match all your subsurface patterns like nymphs, emergers, and wets. Excellent fur for nymphs, emergers, wets and streamers. and highly sought after by the most selective tiers looking for that extra edge. 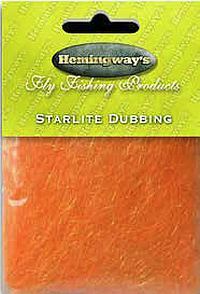 What gives this dubbing such a high standard of quality is the fact its medium/soft blend and perfect color mixtures give it a superior 3D translucent ultra buggy effect. Peacock Dubbing is in huge demand because of its durability, versatility, and that it can help you tackle any fly tying challenge from the classics, to the most modern twenty-first century patterns. HMG Starlite is very fine mylar type material. 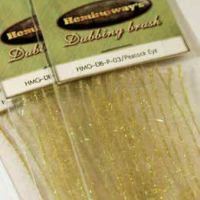 Can be formed into hanks and used for big streamers or cut for dubbing your small flies. Works very well with most other materials for dubbing and it doesn't absorb water, so large flies don't get heavier. If you like stuff that sparkles and glitters it just doesn't get any better than this. 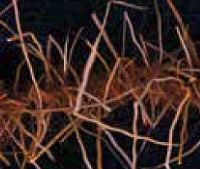 Wiggle dub is a superb buggy dubbing with 100's of micro rubber legs added. 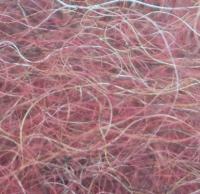 Up to 3 differant colours of micro rubber legs help make this dubbing have some fantastic colours. Use for shrimps, thorax's, wooly bugger's, or any other type of fly that needs movement and buggyness. 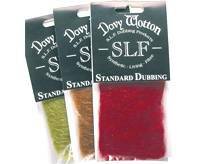 12 colours of hare fur, a classic standard dubbing blended SLF. Perfect for a wide range of uses from large buggy patterns to small nymphs, emergers and gold heads. Colours included: Light Olive, Green Olive, Dark Olive, Brown Olive, Golden Olive, Orange, Red, Claret, Black Grey, Med Brown & Natural Hare. 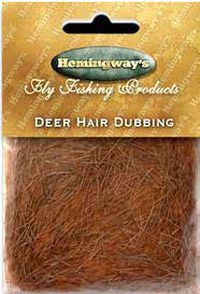 A soft textured dubbing of pure squirrel which may easily be blended with other dubbings. A super-fine material with short guard hairs, great for thoraxes. Colours included: Natural Grey, Dark Brown, Olive Grey, Orange, Black, Light Olive, Golden Olive, Yellow Olive, Ginger, Green Olive, Brown Olive & Olive Dun. Colours included: Pearl, Pink Chartreuse, Purple, Golden Olive, Tan, Rust, Orange, Red, Peacock Black, Dark Olive, Brown, Coral & Yellow. A soft synthetic translucent dubbing material. Colours included: Black, White, Scarlet, Claret, Orange, Yellow, Green Highlander, Medium Olive & Fiery Brown. 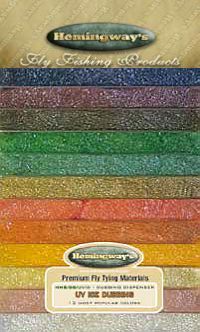 12 colours of CDC fibres for dry fly patterns. 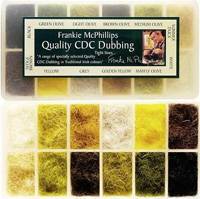 This dubbing offers an exceptional addition to the fly-tyers armoury. 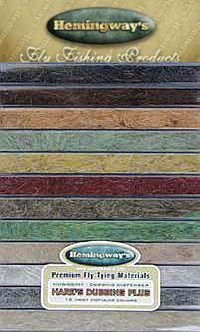 Colours: Black, Green Olive, Light Olive, Brown Olive, Medium Olive, Summer Duck, White, Mayfly Olive, Golden Yellow, Grey, Yellow & Sedge Brown. Fur dubbing with a subtle flash in Irish colours. Natural furs in a 12 partition dispenser containing: Light Hare's Mask, Dark Hare's Mask, Olive Hare's Mask, Muskrat, Mink, Coyote Mask, Camel, Australian Opossum, Fox Squirrel, Grey Squirrel & Pine Squirrel. 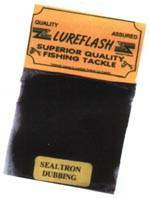 SLF is the original synthetic living fibre, tremendously popular and widely used for its unique translucent and lifelike sparkle. The broad colour range invites use for almost any pattern. 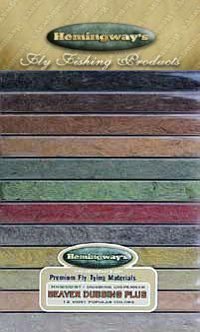 Colours: Medium Olive, Dark Olive, Light Olive, Imitation Seal, Golden Olive, Black, Dark Claret, Gray, Rust Brown, Cinnamon, Fiery Brown & White. Colours: Crimson, Fl Orange, Hot Orange, Fiery Red, Fiery Orange, Fl Pink, Yellow, Insect Green, Highlander Green, Purple, Fiery Claret & Fl Red. A series of SLF blends by Dave Whitlock. Colours: Scud & Shrimp Gray, Sowbug Gray, Sowbug Tan, Red Fox Squirrel Abdomen, Scud & Shrimp Olive, Damsel Tan, Damsel Olive, Dragonfly Dark, Dragonfly Olive, Scud & Shrimp Orange/Pink, Scud & Shrimp Tan & Red Fox Squirrel Thorax. Colours: Brown Stone, Drak Stone, Hellgrammite, Sculpin Olive, Sculpin Golden Brown, Minnow Gills, Stonefly Gills, Minnow Body, Crayfish Orange, Crayfish Sandy Gray, Crayfish Brown & Golden Stone. A permanently waterproofed extra fine material that makes really tight bodies. 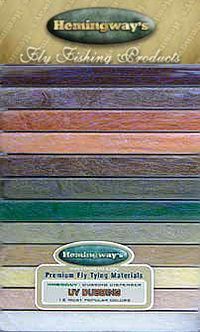 Box 1 Brown, Blue Dun, Blue Winged Olive, Amber, Light Cahill, Hendrickson Pink, Pale Evening Dun, Olive, Adams Gray, Brown Olive, Mahogany & Black. Lite Brite Traveller Dispenser. 12 of the most popular colours of lite brite in this handy dispenser. 12 new colours created by Randall Kaufmann. Colours: Golden Stimulator, Black Stimmulator, Flame Stimmulator, Wine Mini Leech, Tan Scud, Golden Scud, Brown Olive Dragon, Olive Stone, Tan Stone, Golden Stone, Brown Stone & Black Stone. 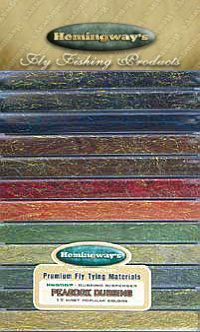 12 new blends designed for a complete range of saltwater flies. 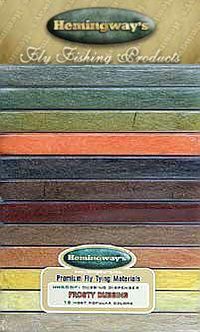 Colours: Pearl, Sand, Tan Watery Olive, Smokey Olive, Fl Charteuse, Fl Yellow, Fl Red, Root Beer, Soft Shell, Fl Orange & Burnt Orange. The standard range of 48 colours of SLF. Devised by Davy Wotton. Dubbing bristles are handy, easy to use strips of ready to use dubbing material spun on a soft wire core. We have modified this idea first produced by the Czechoslovakian National Fly Fishing Team following their world beating success in the World Fly Fishing Championships. We use only LUREFLASH TRILOBAL ANTRON which is unique to our company. A blend of fine Antron with Genuine Mature Seals Fur. Holds the properties of both products.